Halušky are a traditional variety of thick, soft noodles or dumplings cooked in the Central European cuisines (Slovakia, Poland, Ukraine, Romania and Hungary). They are irregular in shape and made with wheat flour and/or potatoes. Halušky can refer to the lumps themselves, or to the complete dish. Left: Bryndzové halušky (with recipe). Although recipes vary from region to region, in general flour is mixed with water and egg to form a batter. Potatoes are finely grated and mixed in the batter. Potatoes may be left out altogether. Traditionally, no special instrument was used to form halušky. Instead, dough was spread in a thin layer on a wooden cutting board and scraped off in even pieces (using a knife) and cast directly into boiling water. 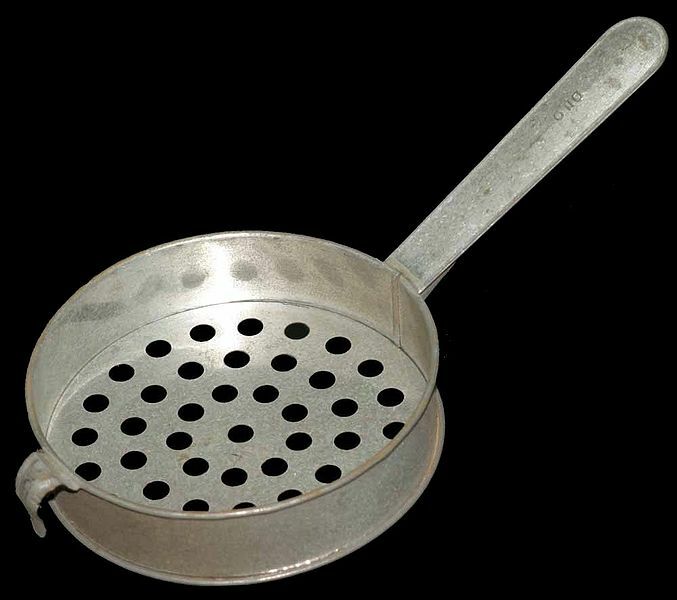 It is possible to form the dumplings as the batter is passed through a special perforated halušky strainer into boiling water forming small (1/2 X 2-3 cm) irregularly-shaped lumps. These are then rolled in butter or oil. Halušky are usually served with meat or vegetable stews, cheese, bacon or ham. 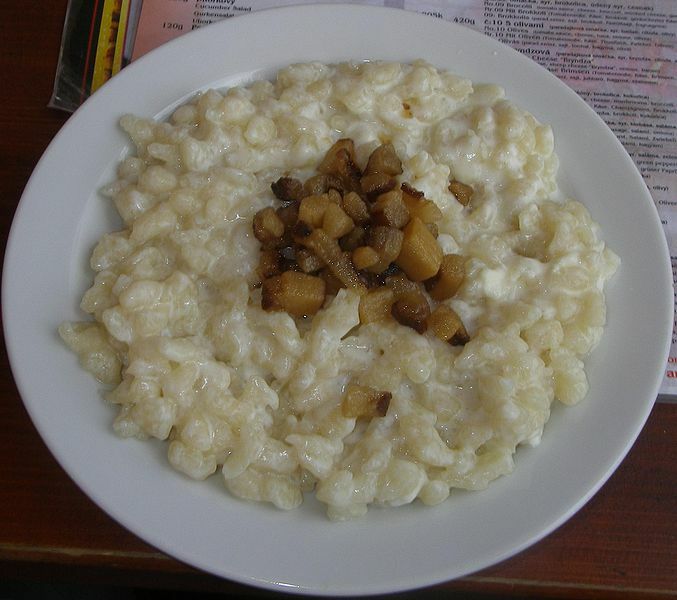 Bryndzové halušky is a typical Slovak traditional dish. In Hungary, galuska are often eaten with meat stews like Goulash or Pörkölt. In the US, most halusky recipes call for an egg noodle, rather than a potato dumpling.